13 April. 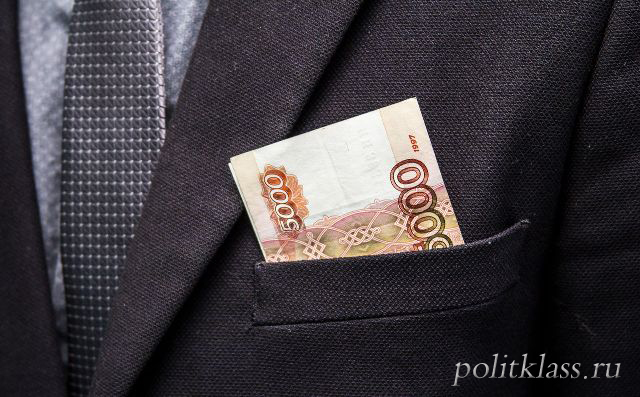 State banks of Russia continue to increase their influence on the banking sector of the economy. If in 2017, the group of the most reliable banks included 4 state-owned banks, but now there are five. The number of private banks has decreased. In the second group of reliability, the bank "FC Otkritie" and "Promsvyazbank" were nationalized. 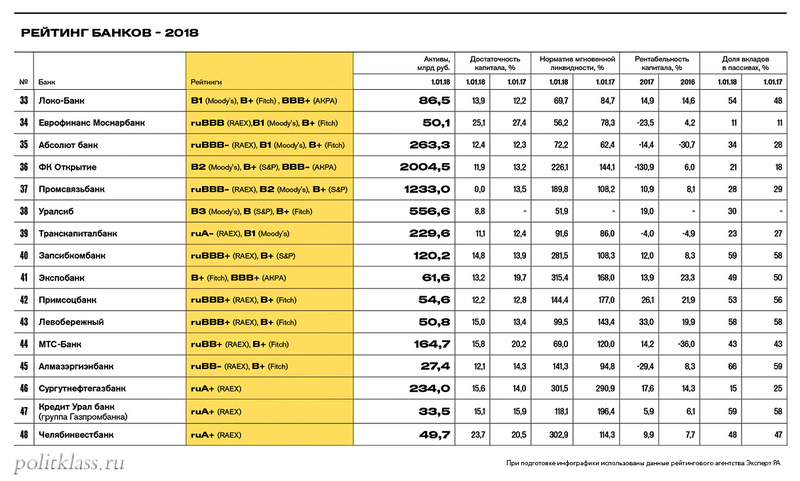 Forbes specialists prepared the rating of the most reliable banks in Russia. 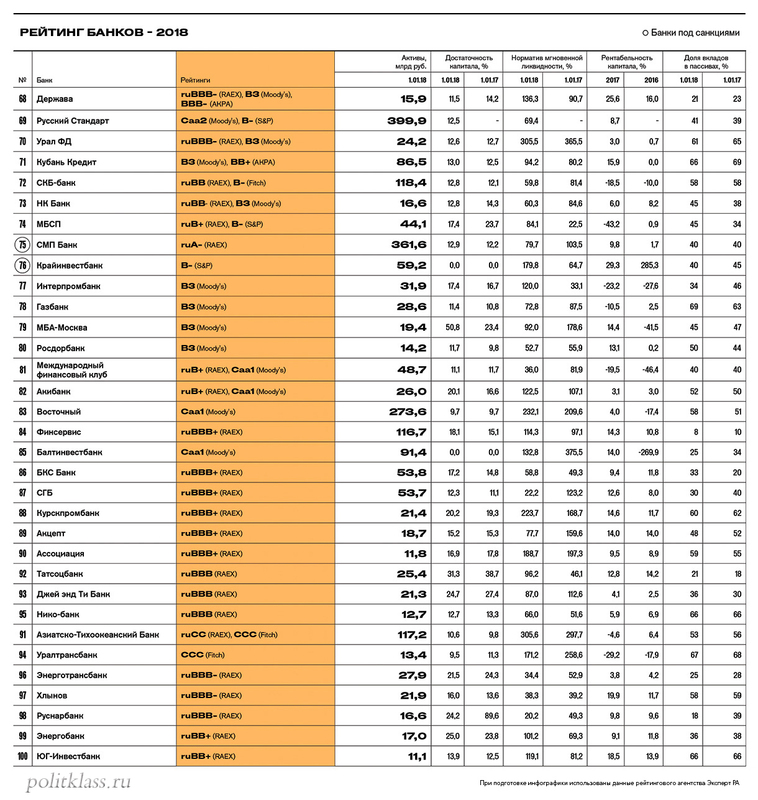 Presence of a bank on a high place in this rating confirms that it is possible to invest in it. All banks participating in this reliability rating were able to survive the sweeping of the financial sector by the Central Bank (in 2017, about 50 licenses were withdrawn). None of the banks included in the rating Forbes, is not deprived of a license, some of them only passed under the control of the state. The loudest case of revocation of the license in 2017 touched on a large private bank "Yugra". However, as Forbes experts note, the presence of a bank in the reliability rating does not mean that they will survive in 2018, so they advise paying attention to those banks that have the highest reliability rating. 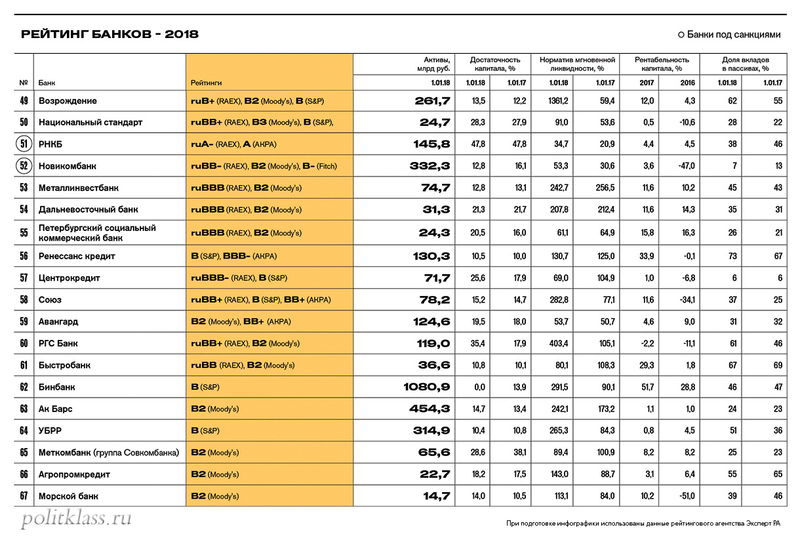 The most reliable participants in the rating are the largest Russian banks and representative offices of foreign banks in Russia. 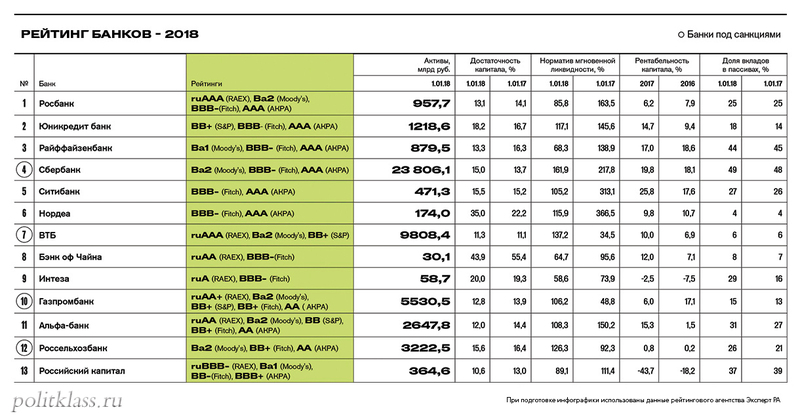 The group of the most reliable banks included banks rated BBB- and BB + (Fitch). This group includes banks rated BB and BB- (Fitch). These banks are quite reliable, but their stability largely depends on the business environment. If the economic situation worsens, these banks will have access to alternative financial instruments, which will enable them to fulfill their obligations. Banks of the third group in case of deterioration of the economic situation will be able to rely only on their own strength. At the same time, they will have a limited liquidity cushion, and investors will have a chance to receive their money in the process of bankruptcy and asset sale. This group includes banks rated B + (Fitch). For reliability these banks practically do not differ from the banks of the previous group, but the rating agencies estimate their risks higher. This group includes banks rated B (Fitch). For reliability these banks practically do not differ from the banks of the two previous groups, however the rating agencies estimate their risks much higher. This group includes banks rated B- (Fitch). the share of deposits of individuals more than 3% of liabilities. 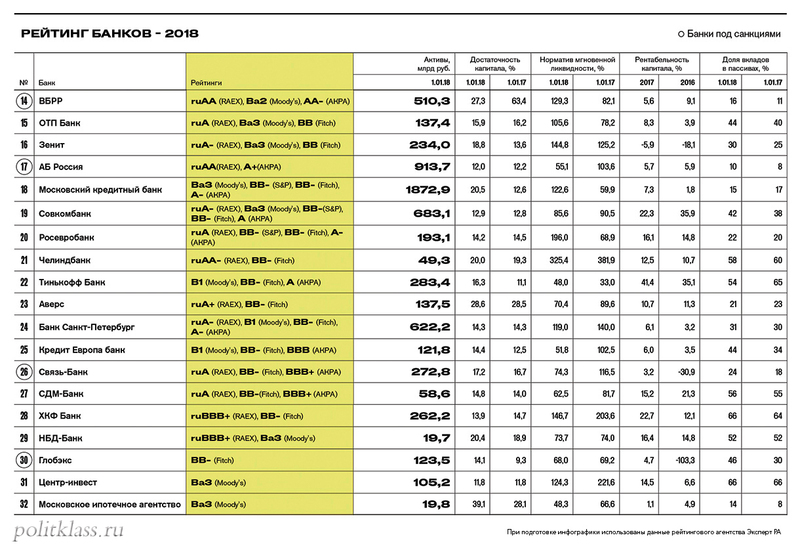 In each group, banks are allocated according to the rating and size of assets. Следующая статьяIs there an alternative to deposits?